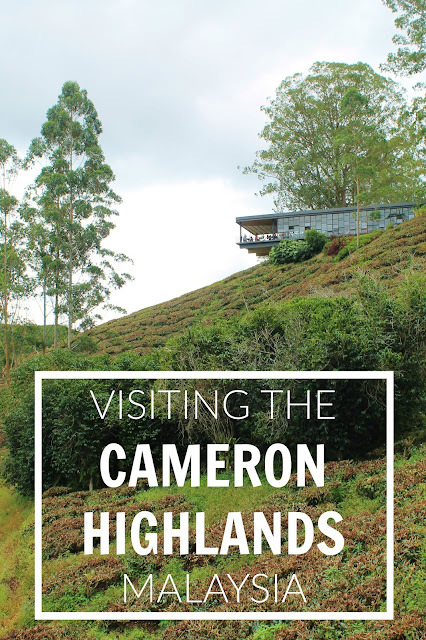 If you've been struggling with the Southeast Asian heat and humidity, visiting the Cameron Highlands will be a welcome change. The weather here is completely different to that of everywhere else in Malaysia. In fact, as the temperature rarely climbs above 20 degrees Celsius it was almost like being back in the UK. So remember to bring a jacket! The Cameron Highlands is a unique place to visit and ideal if you're interested in trekking as there are a number of different trails in the area. Visiting the lush green tea plantations and the strawberry fields are also must-dos. Although, not-so-fun fact, if you're from England the strawberries may be a slight let down. This is because 90% of those grown in the Cameron Highlands are actually completely sour. The journey from Kuala Lumpur takes approximately 3-4 hours. If you go by bus it costs 35 Malaysian Ringgit (£6 / $8) and several buses depart daily from the main bus station in KL. You can pre-book your seats online here and show your ticket confirmation at the station, where you will have your passport checked and then be given a proper ticket. As you travel further away from Kuala Lumpur and closer to the Cameron Highlands the roads become incredibly windy, so I wouldn't recommend eating a big meal before you depart! I survived many rough bus journeys in other areas of SE Asia but this one was a challenge. I got travel-sick and had to keep my eyes closed for a good chunk of the journey! One of the easiest and best ways to experience everything that the Cameron Highlands has to offer is to join a tour. There are plenty of full day or half day options depending on how much time you have, and most can be booked the evening before. We choose to go with TJ Nur Travel & Tours for a half day tour which included all of the places we wanted to check out. We were picked up at 9am and spent the tour travelling around in a Land Rover Defender (which my boyfriend loved!) seeing all of the sights. We drove up to a beautiful viewing area where you could see all of the tea plantations, and then took a short hike (roughly 30-60 minutes) through the Mossy Forest. After this we visited the Boh Sungai Palas Tea Estate which offered up some amazing food and tea. The tea rooms have huge glass walls and a balcony at the back which offer beautiful views of the lush landscape. After refueling we went to a butterfly and insect sanctuary, and then headed on to the strawberry farm. At the farm we had some incredible milkshakes and sweet treats made from their strawberries, not that we needed anything else to eat by this point! Our guide then drove us back and dropped us off at our accommodation. Overall, I'd really recommend doing a tour if you're short on time yet still want to see most of the sights. If you're spending more time in Malaysia and have already visited Kuala Lumpur I would recommend getting the bus to Butterworth, Penang. The journey takes six hours and from Butterworth you can then get another bus or a taxi to Georgetown. It's a long journey but totally worth it for the street food in Penang alone, never mind the incredible sights!